Friendships. Self-exploration. Leadership. It all starts here, at YMCA Camps. At our camps there are no classrooms or cliques, no homework or tests. Instead, there are opportunities for self discovery and skill building. We offer several day and overnight camps, which operate across the Lower Mainland, Fraser Valley and Sunshine Coast during the summer months and school breaks. You really can’t go wrong with a YMCA camp, and there are a few very good reasons for that. The Y has been fully invested in camp programs since Taylor Statten first developed them for the Y in 1902. In the years since, the programs have grown and diversified, literally providing the models that the vast majority of camps looked to when they created their programs. The culture of camps has grown as well, and the organization now has an embarrassment of riches, from top-level administration to program staffing. Everybody involved is here because they want to be here, and have demonstrated a passion and ability to work with kids through the core tenets: mind, body, spirit. Because of the extent and breadth of the operations, the standards are set extremely high. Between the three camps run out of the Vancouver YMCA, there is a diversity of options, allowing campers to grow from their first day-camp experiences, to family camping, to intensive tripping and hiking, to developing leadership skills. The range of environments, including the Lower Mainland, Fraser Valley, and Sunshine Coast allows for a range of experience unique to these programs. In all, there’s a lot to love. Key Deadlines to Mark Down in your Calendars! YMCA Camp Elphinstone spring, summer and fall programs: registration is now open. YMCA spring break day camps (Lower Mainland, Fraser Valley): registration is now open. YMCA summer day camps (Lower Mainland, Fraser Valley): registration opens spring 2019. "What's special about YMCA camp is that it's a place where you get to meet new people and have an experience you wouldn't normally have." "You never feel out of place here. It's a great place where you can come and be yourself." "What I love about the camp counsellors is how friendly and open they are, and the amount of freedom they give us." Friendships. Self-exploration. Leadership. It all starts here, at YMCA Camps. At our camps, there are no classrooms or cliques, no homework or tests. Instead, there are opportunities for self discovery, growth and skill building. At our camps, kids don’t need cell phones to find each other or screens to keep them engaged. Friend requests happen in real time. 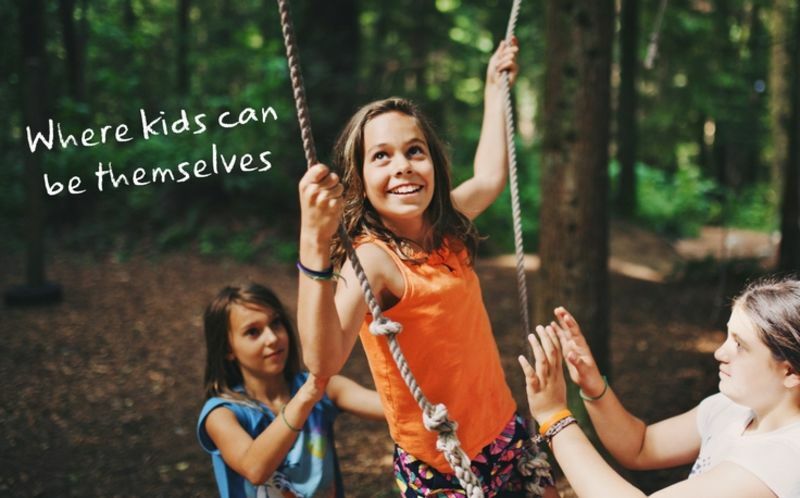 The YMCA has been providing camps for more than 100 years to help children and youth build confidence, leadership skills and environmental awareness. Kids ages 5-17 can choose from a wide range of camps offered across the Lower Mainland, Fraser Valley and Sunshine Coast during the summer months and school breaks. Day camps keep kids active, enable them to make new friends and acquire valuable skills, all while staying close to home at a local camp. Overnight camp, at YMCA Camp Elphinstone on the beautiful Sunshine Coast, offers a unique opportunity to educate and empower kids with the skills to become future leaders. Along with traditional camp options, we offer a range of specialty camps geared toward the interests of children, from hiking to golf to sailing. Regardless of which camp you choose, at the Y, we’ll help your kids learn new skills, make lasting memories and be active in a safe, fun and nurturing environment. We can’t wait to meet your kids! Whether your child is attending one of YMCA’s day camps or heading to YMCA Camp Elphinstone for an overnight camp experience, there’s always the usual list of must-bring items you’ll want to make sure are in their backpack. You know, things like extra pairs of socks, a swimsuit, a water bottle, sunscreen and, just in case Mother Nature is having a tough day, a waterproof jacket. But what about all those things that can’t be found on any packing list, but are just as important? Not sure what we’re talking about? Here are four items on our Unofficial Packing List that will make your child's camp experience extra special. At many of our camps, kids can test their archery skills, navigate the exciting low and high ropes courses or sail the waters of Howe Sound. There is no shortage of opportunities at YMCA camps for participants to expand their horizons and step out of their comfort zone. So even though some activities or programs may be a bit more challenging or new, if your child keeps an open mind and brings an adventurous spirit, we have no doubt that by the end of their camp experience they will have developed a wealth of valuable skills, grown as a leader and accumulated many wonderful memories that they will be telling you and the rest of your family about for a long time. There’s no better place than camp to not only strengthen old friendships, but create new ones too. With lots of opportunity each day to interact with other kids, and participate in activities that relate to their interests, it’s easy to see why kids leave their camp experience having formed new bonds. Make sure you remind your child to take time on day one of camp to say "hello" to their fellow campers and get to know them. The worst thing that can happen is that they meet a bunch of new people who they can have fun with during camp, and the best thing that can happen is that they meet someone they click with and spend time with in and outside of camp for many years to come. Regardless of the camp you choose for your child this spring and summer, the Y knows the importance of giving them as much time as possible to be engaged in activities that take place outside. Ensuring your child connects with Mother Nature is a big focus of our camp programming. So whether it’s going on a hike, spending an afternoon kayaking, heading outside to play sports and games or working on their balance and cardio while paddle boarding, we encourage all campers to pack their love for the outdoors—they’ll be so glad they did! For our camp staff, working at camp is much more than just a job. Our passionate, talented and dedicated team of counsellors want your child to have a one-of-a-kind experience where they develop new skills and have an amazing time—while in a safe and friendly environment. Not only is our camps team ready to guide participants through activities, they are also open and looking forward to getting to know your child and answer any questions they might have. We never wants kids to be afraid to ask the camp staff about what they love about camp, how long they have worked at a YMCA camp, what some of their hobbies are or even what their fears are. And encourage your child to find out as much they can can about the other campers. Asking questions is always a great way of breaking the ice and a perfect first step to making new friends. The more curious your child is at camp, the more they’ll discover; and the more they discover, the more meaningful their camp experience will be. Registration for YMCA's 2018 spring and summer camps is now open! Our wide range of day, overnight and specialty camps (for kids ages 5 to 17) take place throughout the Lower Mainland, Fraser Valley and Sunshine Coast. Don't forget to register your child with a friend who did not attend a YMCA camp in 2017 and both families will receive 10% off the summer camp fees. CLICK HERE TO VIEW OUR 2018 CAMPS AND TO REGISTER! For Nayan Arantxa Murdoch, golf has been a fixture in her life from a very young age; and as soon as she starts talking about the sport or you get her anywhere near a golf course, it doesn't take long before a smile comes across her face. The joy she has for golf isn't just a result of the success she has experienced over the years. It is also because her involvement in the game has allowed her to develop skills, character traits and relationships that have helped shape her into the wonderful leader she is today. Nayan set aside some time to share with us, how she got into the sport, how she has grown as a result of playing golf and why she wanted to start coaching youth. Who or what led you to the game of golf? I was introduced to the sport around the age of four. My father and grandfather were both big fans of the game, and I took to it very quickly. At what age did you fall in love with the game and decide to focus on developing your skills? Falling in love with game came pretty quickly after I started playing. I was lucky enough to be very successful at a young age, so I guess as soon as my coaches and I realized I could have a future in the game, all of my time became dedicated to the craft. Beyond the fundamentals of golf, what other skills/lessons have you gained through the sport? Through the game of golf I adopted many attributes, including patience, honesty and determination. The values one acquires through this sport, such as responsibility and integrity, have also allowed me to thrive. As a junior golfer you don’t actively realize the way the game is shaping you. However, looking back, it's evident I have so much to thank the game of golf for. What impact has playing golf had on your confidence and overall physical and mental health? As an athlete, it is crucial to learn how to take care of your body and mind. Golf helped me to find different ways to nurture my physical body and mental health from a young age, which in turn allows for my confidence to grow every day. Even though golf is an individual sport, how has the game allowed you to develop new relationships? One of the greatest things about golf is that it is a breeding ground for lifelong friends. It’s pretty hard not to get to know someone in the span of a four-hour round! What made you want to coach kids? Junior golf has made me who I am today, and the opportunities I’ve been fortunate enough to have are unforgettable. It’s important for me to give back now, and help kids reach their potential. How would you describe your teaching style and what do love about coaching? Simplicity is key in my eyes. The more technical the teacher, the harder it is to understand golf. As for what I love about coaching? There’s something very special about helping someone overcome a challenge. And, let’s face it, golf is one of the greatest challenges on Earth. Interested in YMCA of Greater Vancouver?